In this article, we will have a quick introduction to Spark framework. Spark framework is a rapid development web framework inspired by the Sinatra framework for Ruby and is built around Java 8 Lambda Expression philosophy, making it less verbose than most applications written in other Java frameworks. It’s a good choice if you want to have a Node.js like experience when developing a web API or microservices in Java. With Spark, you can have a REST API ready to serve JSON in less than ten lines of code. We will have a quick start with a “Hello World” example, followed by a simple REST API. You can find the latest version of Spark on Maven Central. You can find the latest version of Gson on Maven Central. Let’s take a look at the basic building blocks of a Spark application and demonstrate a quick web service. Web services in Spark Java are built upon routes and their handlers. Routes are essential elements in Spark. As per the documentation, each route is made up of three simple pieces – a verb, a path, and a callback. The first argument to the get method is the path for the route. The first route contains a static path representing only a single URI (“/hello”). The second route’s path (“/hello/:name”) contains a placeholder for the “name” parameter, as denoted by prefacing the parameter with a colon (“:”). This route will be invoked in response to GET requests to URIs such as “/hello/Joe” and “/hello/Mary”. The second argument to the get method is a lambda expression giving a functional programming flavor to this framework. The lambda expression has request and response as arguments and helps return the response. We will put our controller logic in the lambda expression for the REST API routes, as we shall see later in this tutorial. After running the class HelloWorldService as a normal Java class, you will be able to access the service on its default port of 4567 using the routes defined with the get method above. See how the placement of the text “baeldung” in the URI was used to match the route pattern “/hello/:name” – causing the second route’s callback handler function to be invoked. For demonstration purposes, we provide a Map implementation of this UserService interface in the GitHub code to simulate persistence. You can supply your own implementation with the database and persistence layer of your choice. The status field value can be either SUCCESS or ERROR. The data field will contain the JSON representation of the return data, such as a User or collection of Users. When there is no data being returned, or if the status is ERROR, we will populate the message field to convey a reason for the error or lack of return data. Now let’s implement the routes and handlers for our REST API. We will show the full implementation of each route handler in the following subsections. Note: In this example, the JSON representation of the User object is passed as the raw body of a POST request. Note: In this example, the data are passed in the raw body of a POST request as a JSON object whose property names match the fields of the User object to be edited. In this article, we had a quick introduction to the Spark framework for rapid web development. 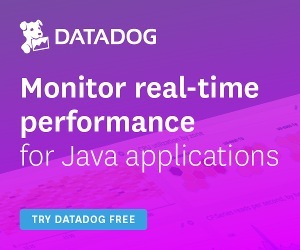 This framework is mainly promoted for generating microservices in Java. Node.js developers with Java knowledge who want to leverage libraries built on JVM libraries should feel at home using this framework. And as always, you can find all the sources for this tutorial in the Github project.